UPDATE: As of February 2019, First Metro Securities has lowered the minimum requirement to gain PRO access. 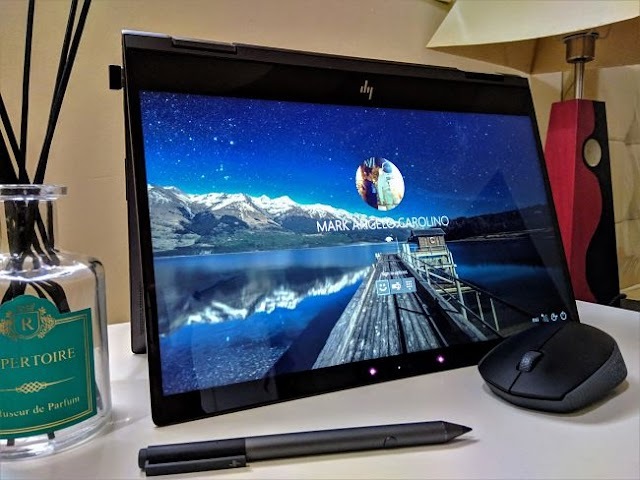 PRO access is valid for 3 months and will be automatically renewed while criteria are met. 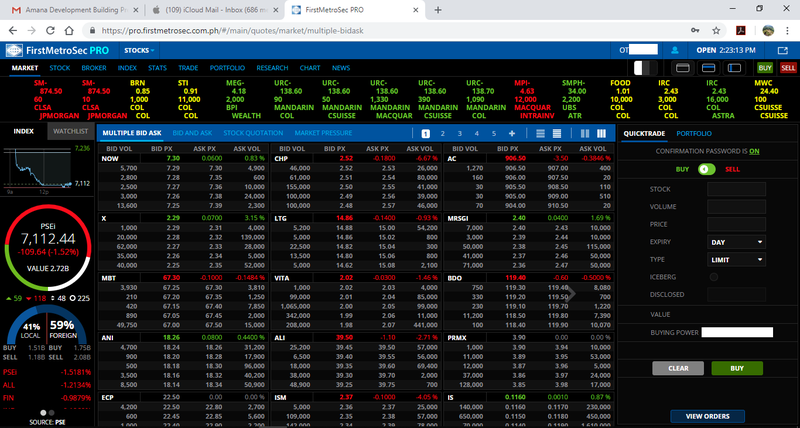 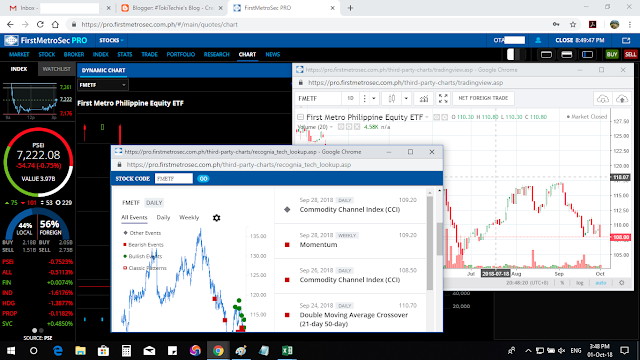 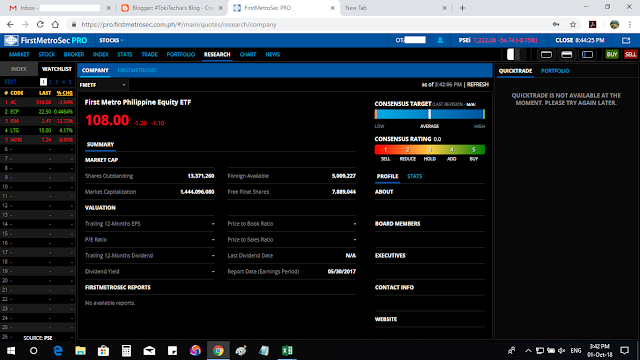 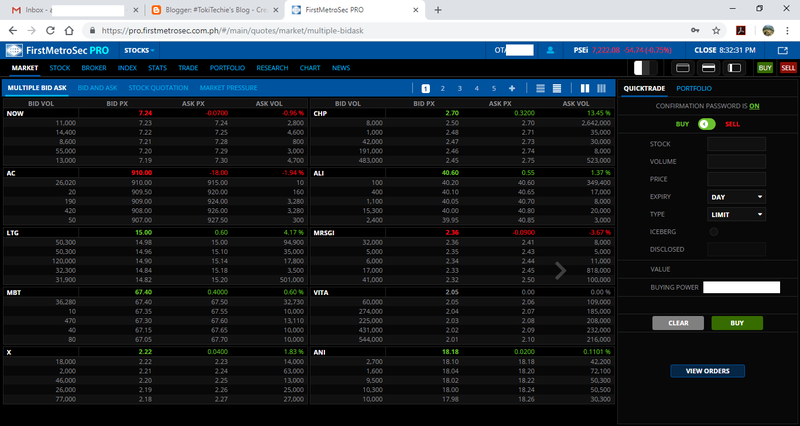 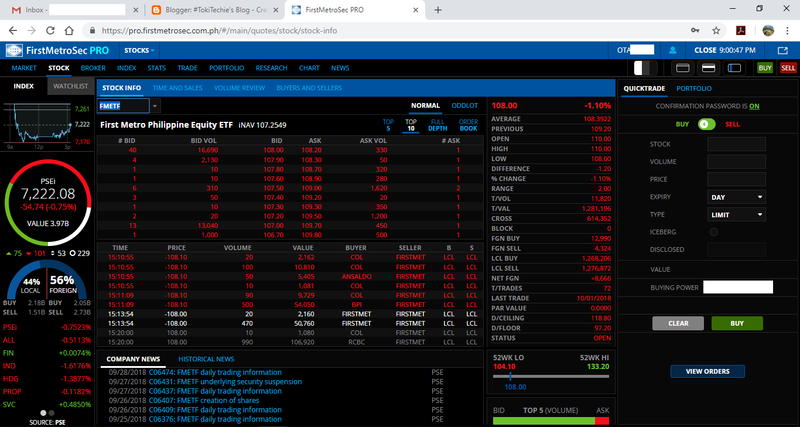 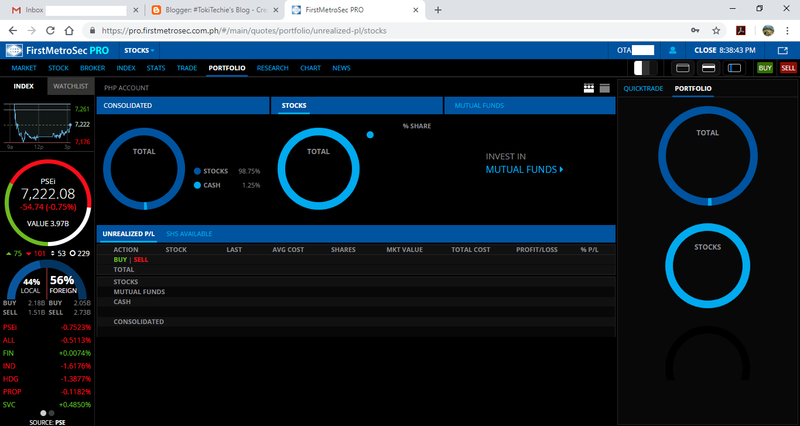 The FirstMetroSec PRO platform can be accessed via https://pro.firstmetrosec.com.ph/ which means that there are two running trading platforms that serve FirstMetroSec's clients depending on the cumulative amount of their mutual fund subscriptions or stocks portfolio. 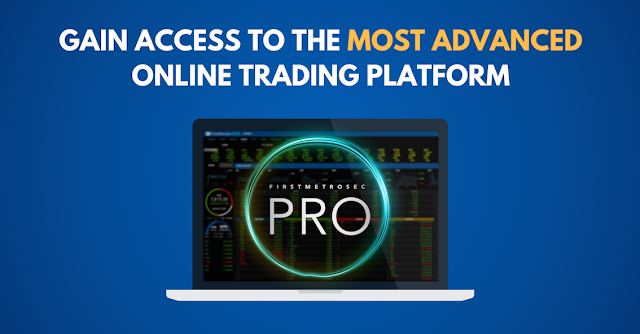 If you're a qualified PRO client, you can access both platforms and maximize your trading experience using the upgraded FirstMetroSec PRO platform. As traders, we want fast trading platform that can handle high volatility within a corresponding high volume of trades for a particular stock. Most traders fall victim to this issue and many of them get frustrated by missed opportunities due to the lags that they encounter while trading stocks using their brokers' "dated" online trading platforms. These complaints are evident if you are a member of Facebook groups like Tsupitero.com and Traders Apprentice Pilipinas (TAP) where traders hangout and exchange trading ideas. 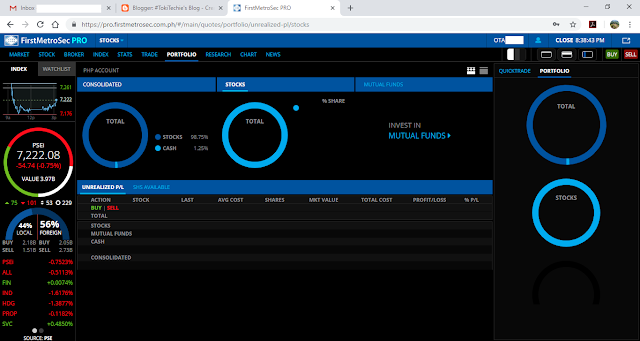 Using FirstMetroSec Pro for almost a week now, I haven't experience any critical lags just yet which is a good thing because it is an obvious proof that FirstMetroSec Pro really serves its main purpose: to execute trades fast. 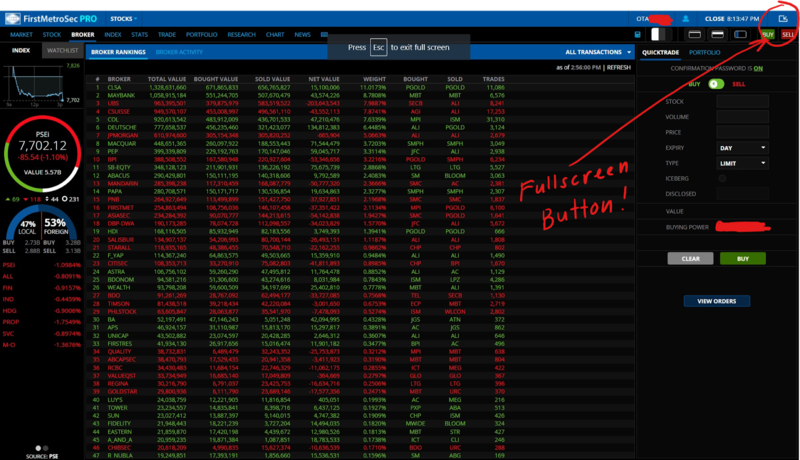 Similar to the old interface, FirstMetroSec Pro remains committed to a simple yet fast user interface. 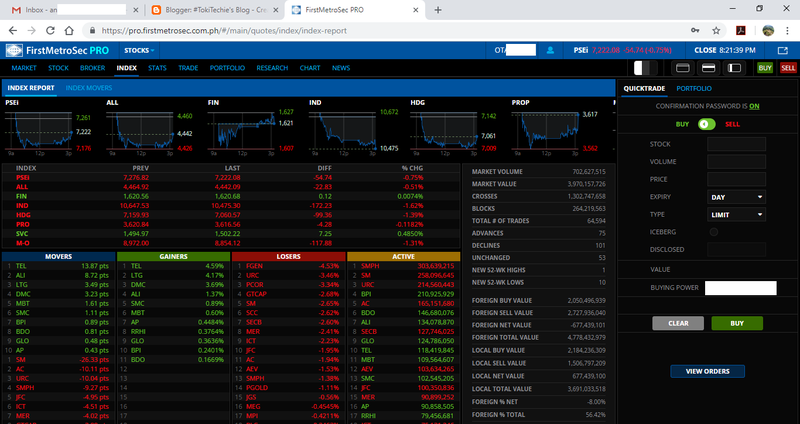 This time, a little bit of elegance is added to the previously simple user interface; thanks to FirstMetroSec webmasters for adding grey and black themes to their platform. 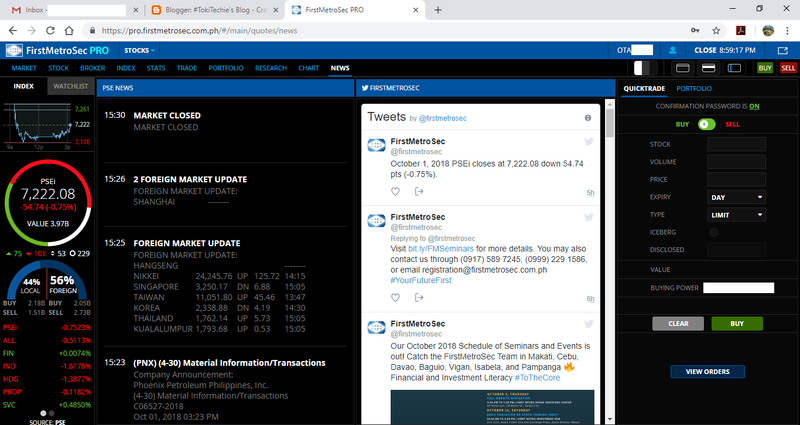 I always find the black theme cool and elegant especially when I open my account on a device with OLED screen. (j) KEYBOARD SHORTCUTS! 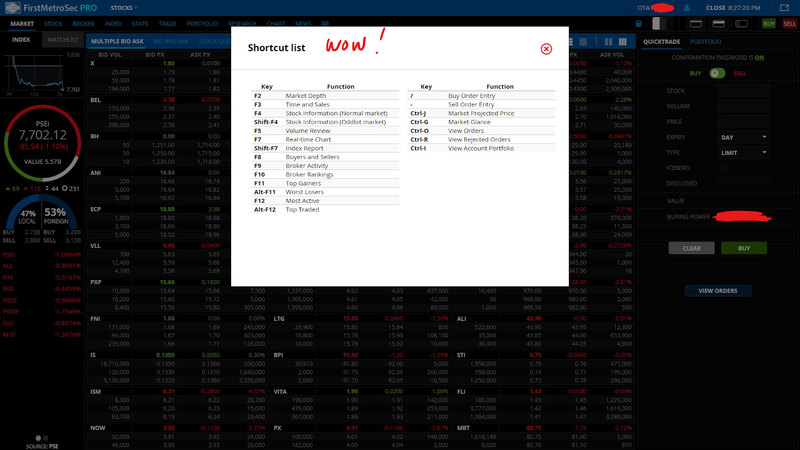 - every quick trader's favorite feature!